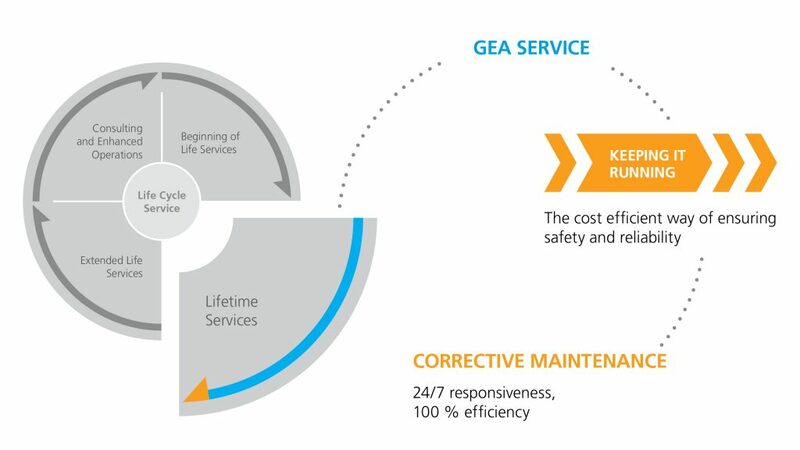 Corrective Maintenance - EFPS - European Food Processing Systems Ltd.
GEA service technicians are available, around the clock and worldwide, to make sure that a breakdown doesn’t become a meltdown! 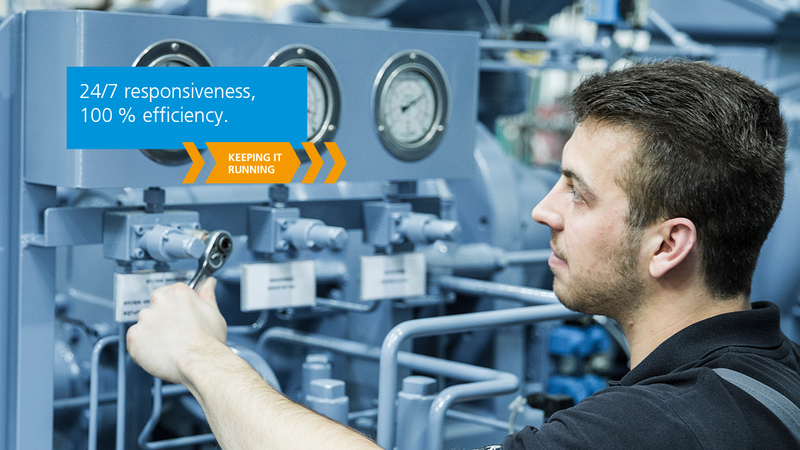 Wherever you are, our skilled technicians will be with you, getting you up and running again quickly and safely – minimum down time, maximum productivity. We can carry out repairs on-site, at our own facilities or through our network of authorized, certified workshops. All our service technicians are highly trained, experienced in a wide range of equipment, and work with efficiency, precision and absolute accountability to the highest possible standards. They use special diagnostic equipment to identify faults quickly and accurately and original spare parts to maintain the quality of your equipment. In some instances we can supply replacement units to keep your production running while repairs are carried out off site (available for selected products). Sometimes you just need to talk to someone. Our technical support teams are available to help you resolve a problem.